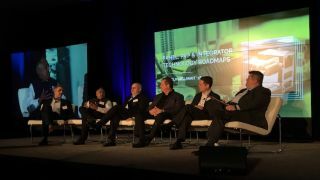 At the PSNI Super Summit in Houston, TX, a panel of senior leaders from integration firms and manufacturers discussed their technology roadmaps for 2018 and beyond. Moderator Tim Albright: Where do you see the AV industry in the next two years? The number-one thing I’ve heard about was people are ready to go global. And it’s not that we weren’t ready to go global, it was that the enterprise customers are starting to think about the discipline necessary, internally, to go global. That’s not for everybody—if they do an acquisition, they have to be careful. Going global is a trend that I think is taking root and is going to impact our business and drive all sorts of things. And it’s real. Integrators were ready but the end users weren’t…and they seem to be ready now. Building expertise onto certain vertical markets will be a leading trend. As we work from an emerging market, [India’s] market is not as regulated as some of the developed countries, so what we expect to do is to work into certain verticals, like what we have done in telemedicine and things like that. And I think our industry also requires that we need a lot of capital influx into this to drive innovation. We’re going to see our core competencies, in a lot of ways, change—core competencies are going to be moved toward networks, and we’re going to be subject matter experts in IoT. But I think that the ecosystem is the network, and we have to find our place in there because there’s a battle that’s going on right now. I think, for us, the trick is to find where we land and what our space is. I would predict that within the next two years, a nationally reputed IT VAR (value added reseller) will buy a national-footprint AV integrator and attempt to craft an AV practice through a national IT VAR.